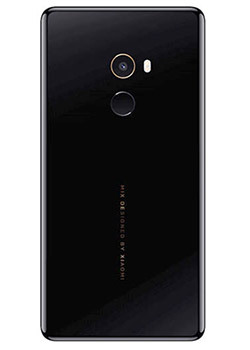 Co-designed with French industrial designer Philippe Starck, Mi MIX 2 is dressed to impress with its four-sided curved ceramic back plate and 18-karat gold-plated decorative camera rim. The device is highly durable with its aerospace-grade aluminum alloy frame. The super-fast fingerprint scanner is positioned on the rear of the handset, above it you’ll find the 12-megapixel camera and below the USB Type C port. The Mi Mix 2 comes with a 12MP Sony IMX368 rear sensor which features HDR, face detection and 4-axis OIS (optical image stabilization). On the front, it has a 5MP camera that has unconventionally been placed at the right corner of the chin to achieve the seamless bezel-free design. Experience the true immersive full display design with Mi MIX 2’ large 5.99" display. 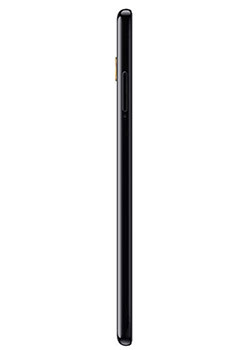 The chin size is 12% smaller than its predecessor Mi MIX and the display comes with a 18:9 aspect ratio - a result of our relentless pursuit in technology innovation. The innovation in full screen display technology introduces a narrower chin, smaller front camera, and a hidden proximity sensor that fits Mi MIX 2 perfectly in your palm. Mi MIX 2 delivers the ultimate high-performance experience, that can handle pretty much any task you throw at it. powered by a Qualcomm Snapdragon 835 processor and 6GB RAM and Adreno 540 graphics. It offers LTE+ connectivity with 43 bands and six network modes making the device perfect for global use. The handset runs on Android 7.1 operating system, with a My UI software reskin, with a long lasting 3400mAh battery.